Gun Repair, Customization, Adjustment, Cleaning. Special order firearms, Hard to find parts, appraisals for insurance, estates, sale. Available 9:30 to 4:30 Monday through Friday and 9:30 to 12:00 on Saturday. If possible please call ahead to confirm time. If no answer please leave a message. I may be running the lathe and not hear the phone, but I check it frequently. When you arrive please double check and make sure your firearm is unloaded and the action is open. All firearms on the premise are secured in a locked gun safe, except for two; the one I am working on and the one I am wearing. My goal is to be the gunsmith I would take my guns to, to treat my customers the way I like to be treated and to handle your firearms with the same care and respect with which I handle my own. I buy guns in any condition at a fair price. Even ugly guns. Convert guns to cash! Clark Craft Gunsmithing LLC is dedicated to providing care, repair, and customization of firearms. 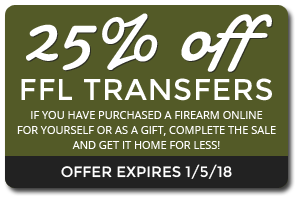 Owner Clark Snyder is a Certified Gunsmith, Certified LE Armorer and Certified Firearms Appraiser and FFL.